There is considerable concern about using camping stoves indoors. The main worry is a build-up of carbon monoxide. Every year there are reports of people suffering severe injury or even death from using camping stove indoors. According to the Centers for Disease Control, each year 10 to 17 deaths are attributed to camping stoves and lanterns used to heat or light unventilated, confined spaces. However, normal kitchen stoves use propane or natural gas without problems, so it is possible to use your camping stove indoors provided certain precautions are taken. Ventilation is the biggest concern, followed by the fact that camp stoves have no automatic shut-off if the flame should go out, potentially allowing a deadly buildup of gas in your house. Tighten all connectors so there are no leaks between your propane source and your camp stove. 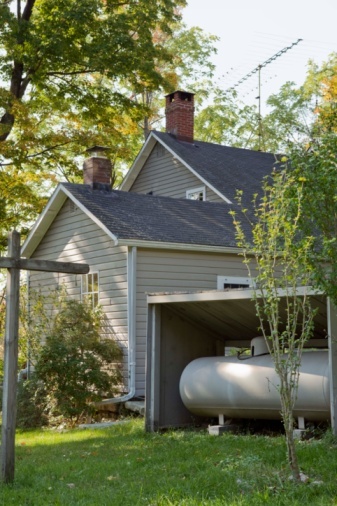 Propane leaks can cause problems: creation of a gas deadly to breathe, or a fire or even a propane-tank explosion. Use your stove in a ventilated area such as a kitchen with a range vent or a ceiling vent. If no vent is available, crack a window near your camp stove to allow a flow of fresh air. This is also true inside a tent; ventilation must be provided to outside air. Do not allow your camp stove to run unattended. If the flame should go out, the gas will continue spewing from the stove, filling your home. This could result in a deadly buildup of gas, a fire or an explosion. Install a CO2 (carbon dioxide) monitor, which will alert you should there be a buildup of CO2 caused by the indoor use of your camp stove. Also install a CO (carbon monoxide) monitor to warn of a buildup of that deadly gas.